Here’s an interesting experiment: next time you are in a group of people – Catholic or not – ask them to name two anti-slavery organisations. Chances are that they won’t be able to think of any. But if they can, you can be pretty sure that the work of Religious Sisters won’t come up. It’s a scandal, really. Sisters (and it is overwhelmingly Sisters as opposed to male Religious or secular clergy) are doing this work in at least 80 countries – including all the areas most plagued by modern slavery. If they were united in a single NGO, they would be by far the world’s largest. Yet they remain the best-kept secret of the anti-slavery movement. The reason? In short, Sisters don’t boast, as anyone who has worked on the front line of the Church’s poverty relief, education or HIV prevention efforts will confirm. As wave after wave of abuse scandals dominate the headlines, it is all too easy to forget that the Catholic Church has hundreds of thousands of women Religious devoting their lives to serving those on the margins in every part of the globe. Rarely, if ever, have they gone in search of recognition. So it is not surprising that when Prime Minister Theresa May paid tribute to the “extraordinary global contribution” of Religious Sisters to anti-slavery work recently, it wasn’t the result of a lobbying campaign run by Religious, but in a letter to John Studzinski, Chairman of the Arise Foundation, a charity based in London and New York working to end slavery and human trafficking. In the fiercely competitive world of international NGOs, the Sisters’ humility is extremely unusual. It is both their strength and their weakness. It is their strength because their low profile means that they are less reliant on Western organisations for funding. This means that they are less tethered to the heavy bureaucracy associated with keeping funders happy, leaving them more free to focus on the individual dignity and complex needs of the person in front of them. It is their weakness because reluctance to crow about their achievements makes their work almost invisible to the funding and policy communities. But so what? Why should these communities listen to Sisters? What, if anything, makes their work distinctive? If they were heard, what difference would it make? It might be better to attempt to answer through a story. Recently we were in India visiting members of Amrat, the huge anti-slavery network of Sisters covering the entire country. About 100 had turned up for their annual meeting. The gathering was held in a well-maintained but sparse seminary building hidden in a vast leafy plantation on the outskirts of Pune, near Mumbai. It was a sweltering day. The meeting gave occasion for many jaw-dropping conversations about the sheer depravity Sisters were having to confront on a daily basis. One such conversation was with two Sisters from rural Assam (pictured). They were candid about their work. They told us how hard it was to get the indigenous children to stay in school because the attraction of smartphones and other modern luxuries offered by traffickers were a greater lure than the help they could afford to provide. They told us about how it would often take a decade to see any marked improvement in a traumatised survivor to whom they were offering loving accompaniment (together with the necessary services such as shelter, counselling and skills training). They told us about the physically punishing journeys they had to undertake on a daily basis to get to the most vulnerable villages, where the poverty is so crushing that some parents will sell their children to escape it. The work they described was thankless, self-emptying and demoralising. But it was also full of hope, purpose and even progress. Their story would be typical of the work of any abolitionist Sister anywhere in the world. But it is also helpful to highlight the distinctive character of Sisters’ anti-slavery work. These two Sisters were engaged in work that was very rural, long-term and directed by a spirit of loving accompaniment. In these three respects, at least, Sisters are different. International NGOs tend, for the most part, to be concentrated around major cities. It is simply too expensive to attempt to maintain offices in rural areas, especially in a country the size of India. Sisters, by contrast, have community houses and anti-slavery projects throughout the country. The Assamese Sisters also spoke of working for decades, often feeling as if their uphill battle didn’t yield much of a reward. Those considering investing in anti-slavery work don’t want to hear this kind of thing, and so they don’t donate to it. They want to hear about how many thousands can be saved, and about the high ideals of “systemic change” and slavery abolition. Fair enough. But once someone has been raped, they are never “un-raped”. They have to learn to live with the trauma, and some cope better than others. The Sisters do not make their help for such people contingent on whether they check the right boxes. They will stick with them, through thick and thin, for as long as it takes. In short, they make a priority of accompaniment – being with those who have suffered. They won’t allow their work to be subverted by the economics of maintaining a successful charity. 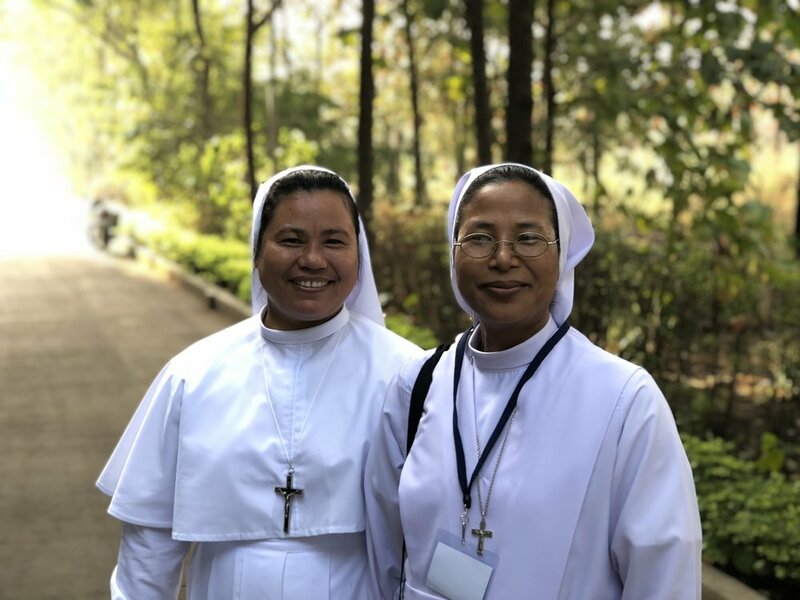 So the Sisters are more rural, their commitment is longer-term, and they are often from the communities that they serve with love and faithfulness. On top of this, their standing in the community often means that they are trusted more readily. Still now, in an India increasingly defined by Hindu nationalism, the police ask Sisters to accompany them on anti-slavery raids because their testimonies are considered more credible in court and are more likely to secure a conviction. These are precious jewels to be coveted and preserved at all costs. They are the fruit of generations of service and give Sisters a unique perspective which deserves to be heard and appreciated. This isn’t to canonise the Sisters. They make mistakes. Some of their work could be more strategic. But for anyone who is serious about sustainable development there is simply no comparison between the grassroots, vocationally driven, long-term, community-based work of Sisters and that of so many of their secular counterparts. So what difference would it make if Sisters were more a part of the policy conversation around modern slavery? It would bring the voice of long-term, self-sacrificial accompaniment to the table – a voice insistent that almost all meaningful anti-slavery work relies upon love and trust, however difficult it might be to measure. And when future generations look back upon the abolition of modern slavery, maybe, just maybe, the names of the Sisters will be remembered in the tradition of William Wilberforce, with the reverence their sacrifice deserves. Harry Leslie Smith (who died 28 November, aged 95) often spoke of his childhood. Born in 1923 he said: "My childhood, like so many others from that era, was not an episode from Downton Abbey. "Instead, it was a barbarous time. It was a bleak time. It was an uncivilized time because public healthcare didn't exist.… No one in our community was safe from poor health, sickness and disease. In our home, TB came for my oldest sister, Marion, who was the apple of my dad's eye. Her sickness and his inability to pay for medicine broke his heart." Marion died in the workhouse infirmary and was buried nameless in a pauper's grave. Harry said: "My family's story isn't unique. Rampant poverty and no health care were the norm for the Britain of my youth….Today my heart is with all of those people from my generation who didn't make it past childhood, didn't get an education, didn't grow as individuals, didn't marry, didn't raise a family and didn't enjoy the fruits of retirement. They died needlessly and too early." This year the UK celebrated 70 years of the NHS. Today we benefit from the decision of the government of the post war generation to provide a National Health Service which provides healthcare to all permanent residents of the United Kingdom that is free at the point of use and paid for from general taxation. Essential health services encompass everything from health promotion to prevention, treatment, rehabilitation and palliative care throughout the course of a lifetime. The sad reality of the present time is that at least half of the world's population does not have full coverage of essential health services, and each year about 100 million people are pushed into "extreme poverty" (defined as living on US $1.90 or less a day) because they have to pay for health care. Fragile and conflict-affected states have seen the resurgence of diseases such as cholera and typhoid. Struggling health systems, insufficient progress on malnutrition, and high disease burdens remain serious challenges, and many of the most marginalised and remote communities are still denied effective health services. 5.6 million children still die before reaching their fifth birthday. On May 23rd 2018 Archbishop Ivan Jurkovic, the Vatican observer to the United Nation agencies in Geneva spoke at a meeting of the member states of the World Health Organisation gathered to set WHO policies and programmes. The need for universal health care coverage was a major topic at the May 21-26 meeting, and Abp Jurkovic thanked the UN leadership "for keeping it as a top priority on the agenda of the World Health Organization." "For many poor communities, families and individuals, access to the much-needed health care services remains an unachieved objective" he said, adding that, "Progress on universal health coverage requires a strong political will and a commitment to concrete steps that improve health for all people." The UK has long been a leader on global health, for example, as a leading donor to organisations such as Gavi, The Vaccine Alliance, and the Global Fund to Fight AIDS, TB and Malaria. It funds extensive nutrition and food security programmes around the world. And Dfid's support helps countries to strengthen and increasingly take ownership of their own health services. However, UK aid priorities appear to be changing to focus more on security and economic development, creating a real risk that human development programmes - such as those that fund health and education - will be reduced. In August the Prime Minister, Theresa May said that aid must be in the UK's national interest, helping countries grow their economies, create jobs and fight insecurity. She called these new priorities "a fundamental strategic shift in the way we use our aid programme". While economic development has been a major factor in more than halving poverty rates since the 1990s, evidence shows that countries that provide health and education services improve their economic development. When people are healthy families, communities and economies can reach their full potential. It is essential that the British government’s Department for International Development’s spending on global health is increased as a proportion of its overall budget, with UK spending on global health rising to 0.1% of Gross National Income (GNI). The stakes are high for the world's poorest. Failure to focus UK aid spending sufficiently on global health risks a reversal of the progress that has been made. "Justice requires guaranteed universal access to health care," said Pope Benedict while Pope Francis has said that 'health care is denied to too many people" in too many places "it is not a right for all, but rather still a privilege for those who can afford it". The theme for the 2018 Universal Health Coverage day is: 'Unite for International Health coverage day: Now is the time for collective action'. Archbishop Ivan Jurkovic put it another way when he said: "Since everyone should have the possibility of benefiting from necessary health services without falling into poverty, the virtue of solidarity urges us to work toward this goal." Many respondents to the questionnaire that was sent out said that they would like CoREW to play a role in assisting Religious engaged in anti-slavery work. The CoREW Executive is mindful of the excellent, long-running initiatives in this area founded by, or involving, Religious. It is important that any CoREW activity complements work already underway, rather than duplicating it. Equally, for this endeavour to be successful, a sense of common ownership is necessary. For these reasons, we would like to bring together stakeholders for a facilitated meeting to listen and determine together what CoREW can do to support Religious engaged in this work. The Arise research revealed the huge scale of anti-trafficking work that is conducted by Religious, but also its autonomy. The reason for developing a network is to give support, resources & training, better communications and a stronger voice. A key principle is that the network will be by Religious, for Religious. Two meetings have therefore been organised for January: people are invited to go to one in London or another one that is taking place the following week, in Manchester. We would like to welcome to these meetings not only the representatives and members of religious institutes who are already involved in anti-slavery work but all those who in any way contribute to this work, or would like to become more involved. Holy Apostles Church, Pimlico (47 Cumberland St, Pimlico, London SW1V 4LY, [Church Hall]) MAP. Manchester Universities’ Catholic Chaplaincy (Avila House, 335-337 Oxford Road, Manchester M13 9PG) MAP. Those wishing to attend are asked to register their interest at this link by the 10th January 2019. There is no charge to attend. Lunch and refreshments will be provided. NB! Please note that each individual needs to register, or someone on their behalf - this will help us to plan catering, prevent waste, and send out preparatory materials. (Those unable to fill out the link are asked to contact Sr. Dominica Popach O.P. directly on: 07880 771 707 or send an email to : arise@corew.org). Image from a safe house for trafficked women. The property was given by a Congregation. The Prime Minister sent her best wishes to the Arise Foundation as it brought together a large audience in London to highlight the work of Religious in anti-trafficking. In the message, sent to John Studzinski CBE, the co-founder and chair of Arise, Theresa May referred to the “extraordinary global contribution of Religious Sisters to the anti-slavery movement” and said the work that Arise is doing to tackle the issue is key. 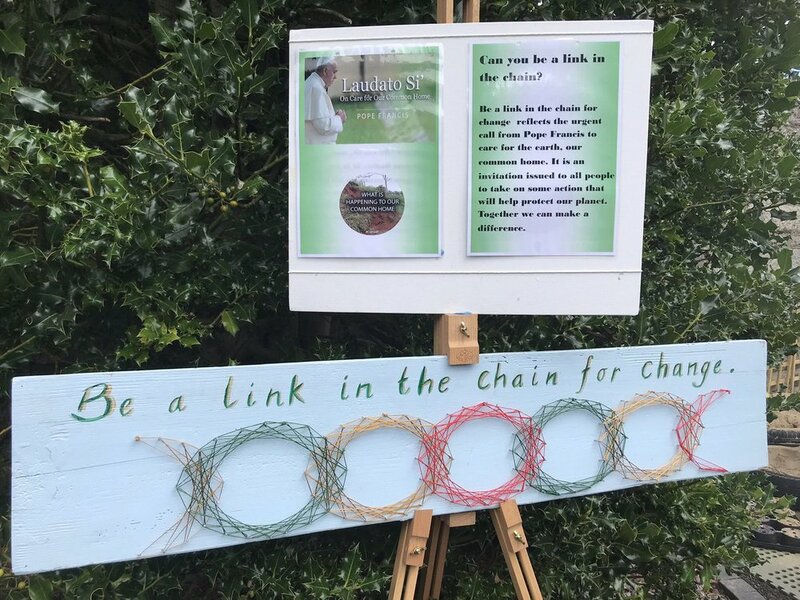 The evening was the official launch of a report by Arise which has revealed that nearly a quarter of Catholic Religious Congregations in England & Wales are battling modern slavery. It’s the first ever such mapping exercise and it has discovered that 172 members of Religious Institutes – 144 women and 28 men - are providing frontline services to people who have fallen prey to traffickers. PROPERTY: In addition to offering personnel, 16 Religious Congregations have provided 29 properties at a book price of nearly sixteen-point-four million pounds. But this is the BOOK rather than market value, so is highly likely to be an underestimate of the value of these buildings. Some of these properties are used as safe houses where victims of modern slavery, including women with children, can find refuge and start to rebuild their lives. MONEY: CoRew members have donated more than £10 million pounds to anti-trafficking in the last five years. WORKING WITH POLICE: A hidden aspect of the involvement of Religious in anti-trafficking is when they accompany police during rescue operations. The survey has discovered that a total of 23 Congregations work with the Police and NGOs. They also assist in managing referrals from the police, joint outreach and providing training. Notably, one Congregation donated a property for a local police constabulary where victims of trafﬁcking could be interviewed in a less formal environment and provided with safe accommodation. LENGTH OF SERVICE: A question was also asked about length of service – the amount of time people have been doing this for. Adding the cumulative total, it’s possible to quantify it as 643 years of combined antislavery service with a couple of people having spent nearly a quarter of a century in the struggle. FINANCIAL REWARD: And it’s all predominantly voluntary work, in line with their vocation. 144 Religious receive no ﬁnancial remuneration for their ministries; only 9 members hold paid roles. PIONEERS: 22 Religious have been involved in founding antislavery organisations. They represent the full range of antislavery service provision: from prevention work to rescue, shelter and on-going accompaniment. The research, which was conducted by Sister Dominica Popach OP, who was seconded for the task for much of this year, shows that Religious Congregations have not allowed their changing demographic to prevent them from contributing in important ways to the antislavery movement. The Conference of Religious of England and Wales has announced that it will now set up a UK Network of Religious involved in anti-trafficking work, to provide a platform for enhanced collaboration. It will be affiliated to similar international groupings. Sr Jane Maltby RSCJ thanked Arise for the research project: “Speaking from a personal perspective, my Congregation owns a property that we no longer need, and, rather than sell this commercially, we undertook extensive research and consultation in order to make the best decision we could, that would be in line with our priorities for mission. In the past, we ran schools and projects around the welfare of women and children, with others collaborating with us. Today, we are delighted to be able to turn that around, and we collaborate with others. In gifting the property and enabling women and children survivors to be cared for in a safe environment, we have entered a partnership which expresses the gospel values of tenderness and mercy, so much a part of our charism, or special spiritual character. The property currently houses 26 women and ten children and babies, a result that touches us deeply. It cannot be ignored that the contribution outlined in this report is overwhelmingly female. This may reﬂect the fact that, until recently, the issue was framed almost always in terms of human trafﬁcking, which for many reasons has been understood as a problem predominantly affecting women. In my role as House Manager at Caritas Bakhita House I look after the wellbeing of our guests more from the background, be it the shopping or maintaining the house in a good standard or coordinating the guests’ activities. There are some more obvious tasks such as sharing lunch with volunteers or baking a cake for a birthday or looking after visitors coming from a wide range within the antitrafficking network. “Working at Caritas Bakhita House has personally been a massive learning curve for me in so many different ways. The two things that have touched my heart the most are seeing the guests overcoming their previous neglect and abuse and so beginning their new lives and the power of the work by our many communities of Sisters. Simply put, they make a difference - by bringing love, knowledge and respect. All of which are delivered in a very unassuming way so from the outside you can’t see it happening but it is. Languages, therapies, skills, all shared with guests - giving a new sense of hope, physically and mentally, preparing them for a better life. They give each guest individual time, something that is often short in today’s very busy society, but is the most important thing you can give anyone who is trying to recover from a trauma. They make guests feel wanted for themselves as a person not as a commodity. ROME - Sally Axworthy, the British ambassador to the Holy See and a supporter of women in leadership, has said she believes the Vatican is making progress and finds the Catholic Church, particularly women religious, to be a key partner in fighting plagues such as slavery and human trafficking. However, the topic of women’s empowerment and the need for an increase in women in leadership is, in her view, “definitely an issue that’s on the table,” especially when it comes to key points of collaboration between the British government and the Holy See such as the fight against slavery, human trafficking and sexual violence in conflict. Ambassador Axworthy, who is not Catholic, said when she came to the Vatican, she was surprised by how active the sisters are, and has enjoyed working with them on projects to prevent sexual violence in conflict zones such as the Democratic Republic of the Congo and South Sudan. In June 2018, Sister Imelda Poole of the Institute of the Blessed Virgin Mary and president of the RENATE anti-trafficking network, was made a Member of the Order of the British Empire in the Queen’s Birthday Honours for her efforts to fight modern slavery, illustrating ties between the British government and Catholic women religious, especially on issues related to human rights. Speaking about the recent Oct. 3-28 Synod of Bishops on young people, during which a large portion of the discussion was dedicated to the role of women, Axworthy said she found the women present either as delegates for their orders, or as experts in the field of youth ministry, to be active and engaged. Ambassador Axworthy, who hosted a Nov. 6 event marking the 50th anniversary of the Vatican newspaper L’Osservatore Romano’s English edition, also voiced appreciation for the paper’s monthly edition dedicated to women, Donne, Chiesa, Mondo. Headed by Italian journalist Lucetta Scaraffia, the women’s edition is not afraid to tackle more sensitive topics, Axworthy said, recalling how shortly after her arrival on the Vatican scene, the paper ran an article written by Baroness Joyce Ann Anelay on sexual violence in conflict. Speaking of UK policies which seek to empower women, Axworthy noted that several of these intersect with Vatican interests, including campaigns directed at ending sexual violence in conflict and human trafficking, as well as a major one-day conference with women in parliament in November in London, attended by women from all over the world. So often our schools and universities promote an idea of life which is based on a well-paid job, a successful career, with suitable opportunities for promotion and these are presented to young people as the only criteria for happiness. It was with great pleasure that we at Downside Abbey responded to a call from BBC Radio 1, asking whether we had a young monk who could talk to them about his choice to leave such ideas behind and embrace the religious life. Enter Br John, a junior monk in his late-20s, in temporary vows, who has been in the community for 3½ years. A team from Radio 1 came to visit Downside in July for three days, and they followed his daily routine, interviewed him both formally and informally & filmed and recorded. Br John’s choice to live as a Benedictine monk was viewed positively, and the Radio 1 team showed a real interest in trying to understand the meaning and importance of religious life for today’s world. The other young people in the programme are Zeki, a survival expert in the Scottish Highlands and Jess, an illustrator who lives on the edge of an estuary in Suffolk. Br John said: “The Radio 1 programme offered a unique opportunity to see behind the scenes of the monastery and how we live out our life. What struck me most about the BBC Radio 1 team was their desire to genuinely listen to my vocation story. The fact that the programme was aimed at a young audience demonstrates how there remains a deep yearning for satisfaction in life among the younger generation. In light of the troubles that the Church is currently going through, the experience of taking part in this programme helped remind me the reason why I still remain a monk." Her international zig-zagging is a modern day echo of the footwork put in by her Order’s legendary founder, Yorkshire woman, the Venerable Mary Ward. In the early 1600s, Mary Ward was remarkable for believing that women should be actively involved in the apostolic life of the Church, at a time when women religious were required to remain cloistered. She took inspiration from the Jesuits, dreaming of sisters who were free, mobile, and trained for apostolic work. However, Mary faced fierce opposition; three times she and her companions walked to Rome - twice to try to gain Papal approval and the third time following her imprisonment in a convent in Munich and the suppression of her Congregation by Pope Urban VIII in 1631. During this period she founded houses and schools in Liège, Cologne, Rome, Naples, Munich, Vienna, Pressburg (Bratislava) and other places. The tide eventually turned, although it took a while: “That incomparable woman ….whom Catholic England gave to the Church” was the eventual description given to her by Pope Pius X11 in 1953. In Europe, the Congregation has seen a move away from running schools and towards helping women where they are in most need now - as victims of trafficking and modern slavery, in hospitals and in prisons. In India and Latin America the order still runs schools, seeing that as the best route to improving women’s lives. Sister Jane felt called to join the Congregation while she was studying law and, after a degree at Cambridge and a period teaching, spent 13 years as headmistress of a school in Dorset. She was then Provincial Superior of her Order in England before being elected the first English General Superior of the Order since the 18th Century. Sr Jane returns repeatedly to the word ‘privilege’ when reflecting on all the work she has witnessed at first hand, in so many countries. She recalls with particular joy a kindergarten in Namchi in the north eastern state of Sikkim in India – in the foothills of the Himalayas. The Conference of Religious joined enclosed nuns from across the UK and Ireland who gathered at Stanbrook Abbey in North Yorkshire for a three day meeting to examine a new Vatican document outlining rules governing their monastic structure and way of life. The conference was led by two canon lawyers, Sr Scholastika Haring, a Benedictine from Germany and Fr Luke Beckett, a monk of Ampleforth Abbey. The document, ‘Cor Orans’ (Praying Heart) provides instructions on how to apply Pope Francis’ 2016 Apostolic Constitution – “Vultum Dei Quaerere” (“Seek the Face of God”) - addressed to Catholic women religious in contemplative communities. In it, the Pope calls for changes to be implemented in 12 diverse areas. There are almost 38000 cloistered nuns in the world today and the document provides precise guidelines regarding all the practical, administrative, legal and spiritual aspects pertaining to the founding and running of monasteries for contemplative nuns. These include detailed specifications regarding the autonomy of monasteries, relations with the bishop of the diocese in question, rules and regulations regarding “the separation of the nuns from the outside world,” means of communication, the various forms of cloister including “papal enclosure” and formation. ‘Cor Orans’ begins by saying: “The contemplative life of nuns, rooted in the silence of the cloister, from its beginnings through a mysterious apostolic fruitfulness enriches the Church of Christ with fruits of grace and mercy.” Silence and prayer were central elements of the conference at Stanbrook Abbey, interspersed with intensive input from the two canon lawyers. The conference took place within and around the normal structures of rhythmic prayer of a contemplative setting. So, for instance, the schedule for the middle day was as follows: Vigils at 0600, Lauds at 0730, Mass at 0900, two sessions in the morning, then Midday Office at 1230, two sessions in the afternoon, followed by questions. Vespers at 1800, Compline at 2015, then silence. Canon lawyer, Fr Luke Beckett OSB, probed the concept of what it means to have ‘separation from the world.’ He deployed some phrases to illustrate what this really means: “‘city on the hilltop / the heart constantly turned towards the Lord / seeking the face of God.” He defined the cloister as quite simply, a space that is for the nuns only and a positive space to create a family atmosphere: “The way that separation happens is not ideological, it’s a space to be protected.” Acknowledging the famed Benedictine hospitality, Fr Luke noted the ‘tension’ between preserving the cloister and inviting guests in; “It’s a source of fraternal tension that rivals the liturgy!” he quipped. When ‘Cor Orans’ was released earlier this year, there was huge media interest in the rules governing the use of modern, social communications. The document warns that “it is possible to empty contemplative silence when the cloister is filled with noises, news, and words. Recollection and silence are of great importance for the contemplative life.” Guidance was offered that the modern methods of communication (Facebook, twitter, etc.,) must be used with “sobriety and discretion” so that they “do not become occasions for wasting time or escaping from the demands of fraternal life in community, nor should they prove harmful for your vocation, or become an obstacle to your life wholly dedicated to contemplation.” One nun made the point that the internet is a vital modern means of a community developing its charism, for instance, her community has done a lot of work with the concepts raised in the environmental encyclical, ‘Laudato Si’ - thanks to what they’ve been able to read online. Fr Luke said what it boiled down to was “not running away from the cloister to surf the net” and said access to the means of social communication was about trying to balance the good things with the negative aspects of social media and keeping the right balance. But he acknowledged it can be difficult for the younger generation, “who are surgically attached to their phones!” “There has to be some inter-generational discussion about embodying your discernment and coming together around values that are commonly shared; we all have to learn to be good stewards,” he advised. Vatican safeguarding expert, Prof. Fr Hans Zollner SJ, has described a one day conference at Ealing Abbey, on child abuse, as a courageous, forward looking step that could act as a model for monastic and religious communities to participate in the healing process for victims. Fr Zollner, a member of the Pontifical Commission for the Protection of Minors, was the keynote speaker at the conference, which was aimed at a wide range of people involved in safeguarding, psychology and education. The Church Urban Fund (CUF) was established by the Church of England as a practical response to unmet need and has been active in local communities for over 30 years. Grounded in the lives of ordinary people CUF works to bring people of different communities together to make a difference. Its vision is to see people and communities all over England flourish and enjoy life in all its fullness. CUF works to bring about positive change in neighbourhoods. Committed to working through relationship partnerships, CUF works by building trust, empowering local people to have a go at addressing the areas of greatest need in their communities, and speaking out against injustice. Using his extensive practical experience of approaching social justice issues from a faith perspective and his work to bring people of different faiths together, in the morning Paul Hackwood explored ‘Freedom, equality and Justice – our Christian heritage’ while in the afternoon we looked at some practical responses. Living in a time when the Roman power had monetised the economy and encouraged a breakdown of community and family life, Jesus preached a different way of being human with a different kingdom at its centre. In the Kingdom of God everyone has importance and each person is included. Relationships are key to the Kingdom, each one working with others to create a better world. Paul suggested that we too are in a period of re-construction in the UK. People are not valued because of their intrinsic value, but for what they contribute to the economy. Just as in Jesus’ time a wasteland is created where relationships are extra. “Our brains” he said, “are created for relationship for we are made by the ways others speak to us, imagine us, nurture us or fail us”. He suggested that we have allowed capital to make the rules and he asked the question, “When everything is focussed on the Gross Domestic Product (GDP) what does this say about us as human beings?” Our institutions have become slaves to this economic model so that our universities are seen as training places for economic outcomes, rather than places of learning and Trade Unions are seen as places of agitation rather than a means of social good. The prophetic edge of the Church is also undermined when people perceive the church as a place for personal morality and a source of volunteers that can be ‘mined’ for delivering services. When 70% of workers in the UK have seen wages stagnate or drop in the last 10 years there is a massive reservoir of unhappiness and resentment in the UK at the moment. It’s an uneven playing field and people want to get out of the game. Building on the fact that the Christian faith gives us an alternative, the Church Urban Fund is about connecting people in a way that breaks up the monetary model of value. “We don’t do numbers”, said Paul, “we do relationships”. CUF works with others by building trust and respect. It believes that meaningful relationships are the basis of real and sustainable change and this is central to everything they do. There is a focus on relational equality, building up community associations and strengthening local institutions working to inspire, inform and support others and do this through the quality of the connections they build. The Church Urban Fund has three ‘strands’ to its work, Near Neighbours – (social cohesion), Together network – (the poverty arm) and Just finance – (the financial arm). Small grants programme - For community groups that want to create a project, to bring at least two faiths together in social action and social interaction. An example of this was the multi faith community archery project in Luton. Real people/honest talk - where people meet together for three conversation evenings. This gives voice and space to talk about what is concerning people. Places of welcome- Support is given to create a place for people to visit at the same time every week for coffee/tea and a biscuit/cake. Kim spoke about the 5 P’s of places of welcome - Place, Presence, People, Participation, Provision. This aims to build relationships and encourages people to have a go themselves. It informs, inspires and supports local Churches to tackle poverty and build community. Aiming to build individual resilience, Together network gives people an opportunity to shape the world around them and so contribute to the common good. People belonging to the network go on a relational journey where the person is at the centre. This helps children to manage money wisely. CUF is already involved with 300 primary schools and £50,000 has already been saved by children in savings clubs, thus establishing good habits of saving at an early age. This is a course which deals with understanding managing money. This is a course which deals with understanding how the Universal Credit system works. The Department of work and pensions are thinking of using it. Since the only way to change things is by doing it through real people, the more you can broker conversations between groups, the more you can do, CUF starts with people in communities and works through a ‘relational’ way of working. Global Goal 17, the need for ‘Partnership for the goals’ kept coming to mind throughout the day. As always the day was as much about networking with and celebrating each other as the actual input. Several participants are exploring ways of linking with CUF to support multi faith and ecumenical projects they are involved with. We were reaffirmed in our own belief that rather than ‘charity’ it is vital that we give those with whom we work an opportunity to shape the world around them and take control of their own destiny. For the first time, a representative from the Conference of Religious joined the Bishops of England and Wales during their five yearly visit to the Vatican. Sr Frances Orchard CJ, a member of the COREW Executive, accompanied the Bishops when they went to the department responsible for religious congregations (the Congregation for Institutes of Consecrated Life and Societies of Apostolic Life - CICLSAL). Sister Frances, (pictured, centre, with Cardinal Nichols and others) said that what emerged from the exchanges was the huge appreciation that diocesan bishops have of the work of the religious in their diocese. Sr Frances, who spent nine years in Rome as part of the Congregation of Jesus General Council, added: “Many of the bishops said how pleased they had been with my presence – and I don’t think they were just being polite. They felt there was more openness and appreciation of our different roles all working within one Church than they had previously experienced on the ad limina." “After the ‘ad limina’ visit to CICLSAL several of the bishops present asked me if it had come up to my expectations. As there was no prior circulation of an agenda from the Dicastery nor a list of participants in advance, and neither had I, or any other member of COREW ever been present for an ‘ad limina’ visit to one of the Dicasteries of the Church, I arrived with no expectations at all. That said I was very pleased both to have been invited and very pleased after the event to have been present. I knew that having a religious sister present at an ‘ad limina’ visit was a ‘first’ and I did not want it to be a ‘last’ too! The fact I was there arose out of earlier collaborative decisions. First, COREW is unique in having a national conference that includes both male and female religious. Second, COREW and the Bishops’ Conference meet regularly as the Mixed Commission to discuss matters of common concern. It was at the most recent meeting of this Commission that it was requested and agreed that a member of the executive of COREW would attend the forthcoming ‘ad limina’ meeting at CICLSAL along with the Bishops. Fr Chris Thomas, the General Secretary to the Bishops’ Conference, kindly made the arrangements. From CICLSAL there were seven members of the Dicastery represented. They were headed up by the Secretary to the Archbishop, Mons. José Rodrigues Carballo OFM. About ten members of the Bishop’s conference were present, including the members of the Mixed Commission led by Archbishop Bernard Longley, who had asked Bishop Alan Williams, as a member of the Marist congregation, to preside. Instantaneous English/Italian translation was provided. I had been warned that ‘ad limina’ visits could be very formal. The phrase ‘ad limina’ is itself interesting. It means that those from ‘the fringes’ come to report to ‘the centre’ – an interesting and not entirely acceptable image of the Church. The setting was indeed formal; however, we were warmly welcomed and invited to introduce ourselves. Mons. Carballo updated us on the progress of a new publication on Consecrated Life and Societies of Apostolic Life due out in 2019. This took some time and I was beginning to wonder if the ‘ad limina’ model as described above whereby the ‘centre’ told the ‘fringes’ what to do was going to be applied to the whole meeting, when Mons. Carballo stopped and invited us to respond to what he had outlined. There then ensued a good and quite lively exchange on issues and concerns around a series of topics: the challenge for bishops and religious to keep the ‘One Church’ model always in mind; the upsurge in new religious congregations, which though often a blessing to the Church, needed careful monitoring. We were invited to ‘discern among yourselves’ on this development within the church; the important role of Vicars for Religious within the diocese; the movement of religious women from ministries of education to ministries focussed on anti-trafficking; the diminishment and ageing of religious congregations and the challenge of finding good leadership, leadership that understood the importance of both ministry within the Church, but also the importance of charism and genuine spirituality within religious congregations; the practice of religious superiors removing key personnel from the diocese without due discernment with the local bishop; and, inevitably the recent report from IICSA on child sexual abuse in two Benedictine monasteries. It was recognised that monasteries need to be brought into a stronger confederation to enhance accountability. Probably from the point of view of COREW the most encouraging comments made were on the contribution that religious make to the Church through the parish and the diocese. This was seen not simply in terms of good work done, but more profoundly as an enrichment stemming from the charism of the particular congregation. This charism is imbibed by the parishioners, and they are impoverished when the congregation moves away. Particular mention was made of the good collaboration between religious and the bishops on the Mixed Commission. This is based on a recognition of differing roles and the importance of openness among us. Religious are perceived as a real blessing within the diocese for their presence, their charism and their dedication. Sr Imelda heads up a network of European religious fighting trafficking and exploitation – RENATE - and became its President after more than 11 years working in Albania, where the IBVM founded an NGO called Mary Ward Loreto. Addressing the reception, Sr Imelda recalled a moving example of the type of victim that she encounters; a young woman who had been trafficked from the age of 12. The victim was covered in hugely painful sores that had become diseased, deriving from a nervous rash. Sr Imelda said this was an example of a trafficked person who had been sold, forced to work, denied a wage and made to live in “absolutely unbelievable” conditions. The victim’s mother had suffered a complete mental breakdown as a result of her daughter’s plight and remains in an institution. Sr Imelda also reflected on the founding of RENATE and said it was “quite extraordinary” that the network was now present in 30 European countries - having not even been thought of less than a decade ago. IBVM Provincial Leader in England, Sr Bernadette Boland, gave a speech of thanks to the Ambassador, for a “wonderful night” and said Sr Imelda took the MBE for all the religious working together in anti-trafficking. Other distinguished guests included Monsignor Antoine Camilleri of the Vatican Secretariat of State, the Executive Secretary of the UISG, Sr Pat Murray IBVM, Dominican Sr Helen Alford OP, Philanthropist Christian Brenninkmeijer, who’d travelled from Vienna for the reception and Luke de Pulford of Arise Foundation. Other conference speakers include Lea Misan, the founder of a charity which works with young people and their families affected by trauma, author Oluwafemi Hughes who writes about the experience of abuse within institutions of care and psychotherapist Milan Bijelic who also works with trauma victims and in post-war reconciliation. One of the conference organisers, Ealing Abbey monk, Dom James Leachman OSB, explained the thinking behind the event: “It came to us as an idea, because nobody else was doing it! Why has nobody else done it? There’s been a lot of talking and apologies, but this is about actually trying to do something. We need to put survivors first.” The conference aims to be as broad as possible and is hoping to attract educators in schools, institutes, universities & seminaries and practitioners in new and traditional monastic communities as well as health and mental care professionals, psychotherapists and community activists. In addition, as a new initiative, Ealing Abbey is introducing a low cost counselling service - ‘London Spring.’ The title is inspired by a freshwater spring which is hidden beneath the cellar of a large and underused house within the Abbey grounds, where the counselling will take place. The spring flows under the property continually and is automatically drained, by a pump, when the water reaches a certain level. In a symbol of change and moving forward, there are plans to divert the flow of the underground spring out into the gardens, where the babbling stream will in future be enjoyed by all. ‘Re-imagining Britain’ is the theme of a justice and peace meeting in London on October 6th to which all are warmly invited. Facilitated by the Executive Director of the Church Urban Fund, the Rev Paul Hackwood, the day will explore the target to radically reduce, by 2030, the proportion of men, women and children of all ages living in poverty in the UK. The initiative is based on the agreement three years ago, by world leaders, to set 17 goals for a better world by 2030 – the Global Goals for Sustainable Development. At the same time as that international agreement was forged, 30 Roman Catholic and Anglican brothers, sisters and lay people in Britain met for a day conference entitled, ‘Leave no one behind’ - linking Christian social teaching with the Global Goals for Sustainable Development. Those involved were members of JPIC Links (Justice, Peace and Integrity of Creation) which had been set up in the 1970s by members of the Conference of Religious to implement initiatives and lead congregations in the promotion of justice and peace issues. The Millennium Development goals and the Sustainable Development goals (Global Goals) are the road map for JPIC and during that one day conference three years ago, members made a commitment to make the Global Goals widely known and committed to ‘prayer for everyone’ to end global poverty by 2030. In the UK we have the highest levels of household food insecurity in Europe. We have a food system that struggles to provide healthy sustainable, diverse diets for everyone in the UK. No 1: The Daughters of the Cross form an institute of apostolic life which has as its aim to understand and to proclaim to others that the love of God has been revealed to us in the most striking way in the passion, death and resurrection of Jesus. Their response to this love is to glorify and honour Christ by loving and serving him, above all in his weakest and most suffering members'. No 8: In the different countries where the Congregation is established, the Daughters of the Cross always have a special preference for those who are poorest. They serve Christ in the words of general and special education, the care of the sick and the aged, abandoned children, the physically, psychologically and mentally challenged, the socially deprived, local pastoral work and the various needs of the Church. They remain faithful to their original charism, which excludes no work of mercy. No 10: As an ecclesial community, the Daughters of the Cross are called to pay special attention to the signs of the times. Rooted in the Gospels, they endeavour to be alert to the growing needs of the world, and to involve themselves in movements for justice and peace. Recognising the inter dependence of all Creation, the sisters strive to be aware of global issues of poverty, exploitation, inequalities and oppression in its various forms. They are encouraged to respect the diversity of religions, cultural practices and traditions'. The acknowledgement is echoed by Sr Liz Murphy RSM, Secretary General of AMRI (the Association of Leaders of Missionaries and Religious of Ireland), who was instrumental in drawing in religious as the preparations took shape, after attending an early meeting of the organisers in May last year. Sr Liz recalls: “I felt, where are all of the religious in all of this?” Sr Liz subsequently invited congregational leaders, provincial leaders and bursars to come together and find out for themselves about the visit and how they could contribute directly to the costs. “I kept putting people in touch with Niall O’Shea!” she laughed..
Sr Liz is also joyful about the fact that Irish contemplatives were drawn into the preparations by receiving prayer requests which had been handed in by people who viewed the specially created icon that toured Ireland over the past year. Joy, as well, that “loads of contemplatives” turned up at the RDS as well as at the Papal Mass at Phoenix Park. The Redemptoristine Sisters in Dublin played a central role in the writing of the icon and from time to time they took it home to refresh and touch up during its mammoth tour of each of the 26 dioceses in Ireland as well as a trip to Rome. Said Niall O’Shea: “You cannot talk about the WMOF2018 without mentioning the Redemptoristine Sisters in the same breath.” (view the video on www.corew.org). At the WMOF2018 Pastoral Congress there were many members of religious congregations on panels and taking part in discussions. They were visible at the daily celebration of the Eucharist and on the campus where, several times, they were spotted sitting with attendees in quiet moments of prayer and reflection. Some of the high profile speakers were members of religious congregations too. Another aspect of the gathering was a pilgrim walk through Dublin; of the seven churches involved, four were attached to religious communities: Carmelite, Discalced Carmelite, Dominican & Jesuit, and another is a parish staffed by the Capuchins, from the same community that Pope Francis visited.